Goose Down Alternative Reversible Comforter Just $37.95! Down From $61! PLUS FREE Shipping! You are here: Home / Great Deals / Amazon Deals / Goose Down Alternative Reversible Comforter Just $37.95! Down From $61! PLUS FREE Shipping! 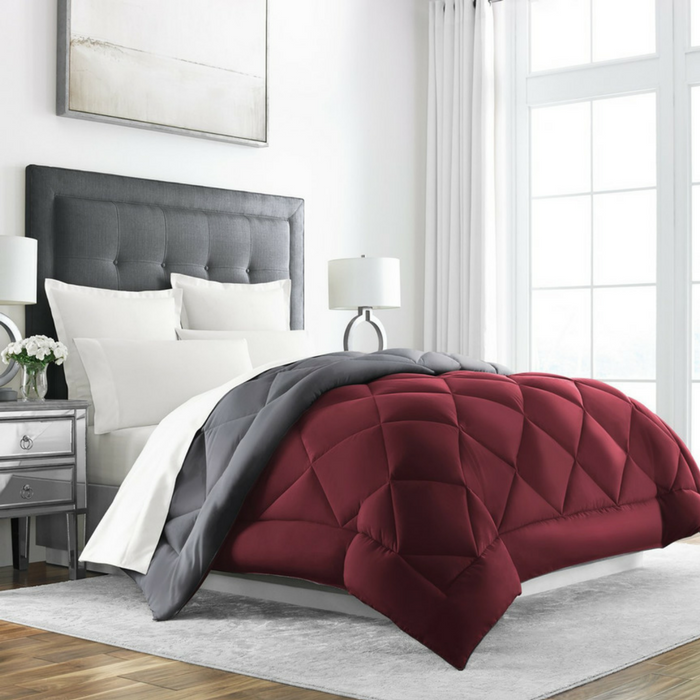 At Amazon, you can score this Goose Down Alternative Reversible Comforter for just $37.95 down from $60.99 PLUS FREE shipping! The Sleep Restoration Reversible Down Comforter is the softest comforter on the market! You can use our comforter as a duvet insert, or as a stand-alone comforter. It is perfect for whatever your bedding needs are all year long. Our all season comforter is a masterpiece! It is crafted with durable hems and precise stitching that makes this product have excellent longevity, so you can use it for years to come. It is hypoallergenic providing a barrier to protect against dust mites, mold, allergens, and mildew. Plus, it is reversible and machine washable! Don’t wait. Purchase your own Sleep Restoration Reversible Down Comforter NOW! SOFTEST & MOST LUXURIOUS COMFORT – The Sleep Restoration All Season Down Alternative Comforter – Twin/Twin XL (74″ by 89″) – is the perfect all-season solution! Our ultra-plush comforter offers year-round comfort, adding convenience to luxury. It will keep you warm on the coldest nights, and comfortably cozy during warmer seasons. It is the best choice for all your bedding needs! EXPERT CRAFTSMANSHIP & DESIGN – Sleep in extreme comfort with the Sleep Restoration luxurious down alternative comforter. This hypoallergenic over-sized comforter is a masterpiece crafted with durable hems and precise stitching giving this product excellent longevity. EASY CARE & HEALTHY LIVING – The hypo-allergenic comforter provides a barrier to protect against dust mites, mold, and mildew. Machine wash in a gentle cycle with cold water. Simply sun dry or low tumble dry the comforter.